Bastille Day is the French national holiday which is celebrated on 14 July each year. 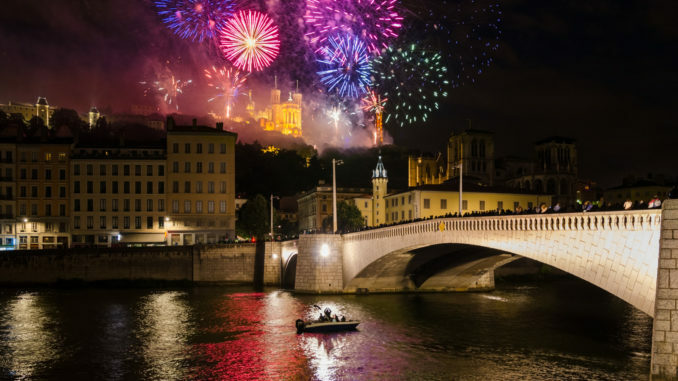 In France, it is formally called La Fête Nationale (National Celebration) and commonly le quatorze juillet (the fourteenth of July). It commemorates the 1790 Fête de la Fédération, held on the first anniversary of the storming of the Bastille on 14 July 1789; the anniversary of the storming of the Bastille fortress-prison was seen as a symbol of the uprising of the modern nation, and of the reconciliation of all the French inside the constitutional monarchy which preceded the First Republic, during the French Revolution. Festivities are held on the morning of 14 July, on the Champs-Élysées avenue in Paris in front of the President of the Republic.